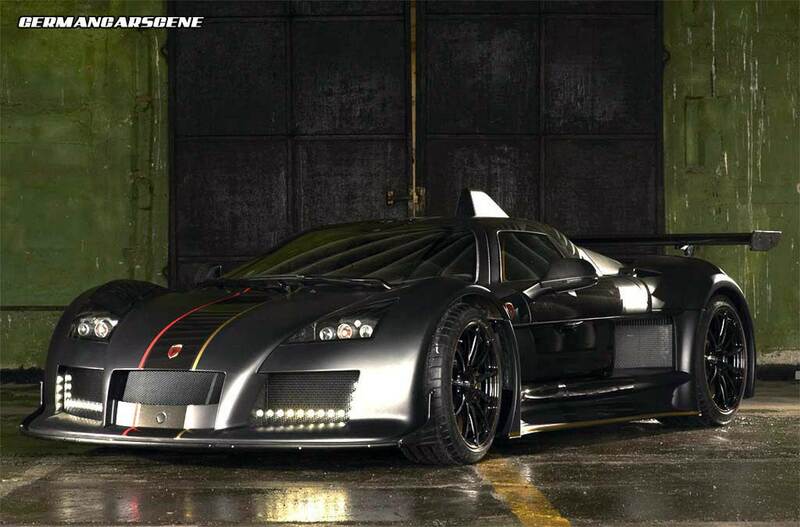 Auto Bild is reporting that the Altenburger sports car maker Gumpert has sadly gone bankrupt. Gumpert almost came to an end last year following a failed assault on the Chinese market, but a mystery investor stepped in to pull the company back from the brink. Now those purse strings have been cut leaving Gumpert to spiral into free fall. The remaining 19 employees were relieved of their duties in June, with the company’s accounts receivable amounting to €1.7 million according to the appointed administrator, Görge Schied, who confirmed that he had been negotiating with two potential investors. The company, which was founded in 2004 by Roland Gumpert, former Director of Audi Sport, built impressive machines that used bi-turbo Audi engines. The profile of these track-focused road cars was increased significantly when the Apollo Sport became the new leader on Top Gear’s Power Lap Board in 2008. Following on from its brilliant commercial featuring the R18 e-tron quattro, Audi has delivered another creative advert for its RS 6 Avant. The family-friendly supercar uses a twin-turbocharged 4.0 TFSI V8 that sends 412 kW (560 hp) and 700 Nm of torque to all four wheels via an eight-speed tiptronic transmission. On the road, that equates to a 0-100 km/h time of 3.9 seconds and a limited 250 km/h top speed, which can be raised to 280 km/h (174 mph) upon request. 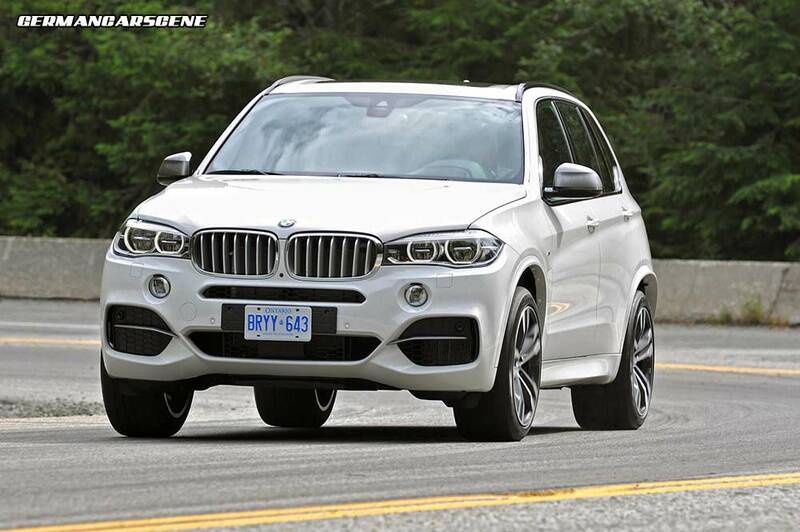 BMW has revealed details of its next-generation BMW X5 M50d, equipped with the world’s most powerful six-in-line diesel engine. Propulsion comes courtesy of a tri-turbo 3.0-litre unit which develops 280 kW (381 hp) and 740 Nm of torque, with power transferred to the road via an eight-speed automatic transmission and BMW’s xDrive all-wheel drive system. Performance is impressive with 100 km/h happening in 5.3 seconds, while the engine, which is now EU6 compliant and around 10 percent more efficient than its predecessor, needs an average of 6.7 litres every 100 kilometres, with CO2 emissions of 177 g/km. Although not technically a full-on M vehicle, the M50d was created by BMW M GmbH and features its brilliant Adaptive M suspension and dynamic damper control, with Dynamic Performance Control and Dynamic Drive active roll stabilization available as an optional extra. Visually the M50d wears a new aerodynamic body package and rolls on a set of 19-inch M light-alloy wheels in a five-double-spoke design. 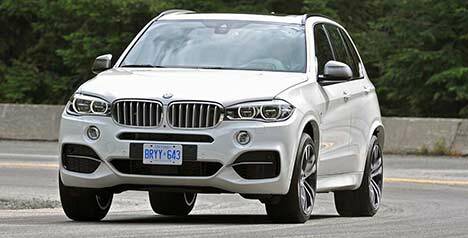 European deliveries begin in the middle of November, with BMW saying it has no immediate plans to sell the vehicle in the States. This new episode of Jay Leno’s Garage sees the talkshow host chat to Porsche’s Frank Walliser, the project manager of the 918 Spyder, at Pebble Beach before taking it out for a drive. At the heart of the 1640 kg hybrid is a 453 kW (608 hp) 4.6-litre V8 engine that revs to over 9000 RPM, which is complemented by a hybrid module at the rear along with an electric motor driving the front wheels. 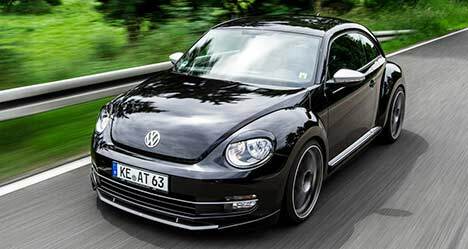 Top speed in electric mode is 150 km/h (93 mph) with a range of 25 kilometres achievable – depending on driving style. However, with the full-on 661 kW (887 hp) a its disposal, 100 km/h appears in 2.8 seconds and 200 km/h in 7.9s, while top speed is 340 km/h (211 mph). All from a car capable of drinking around three litres of fuel every 100 kilometres. 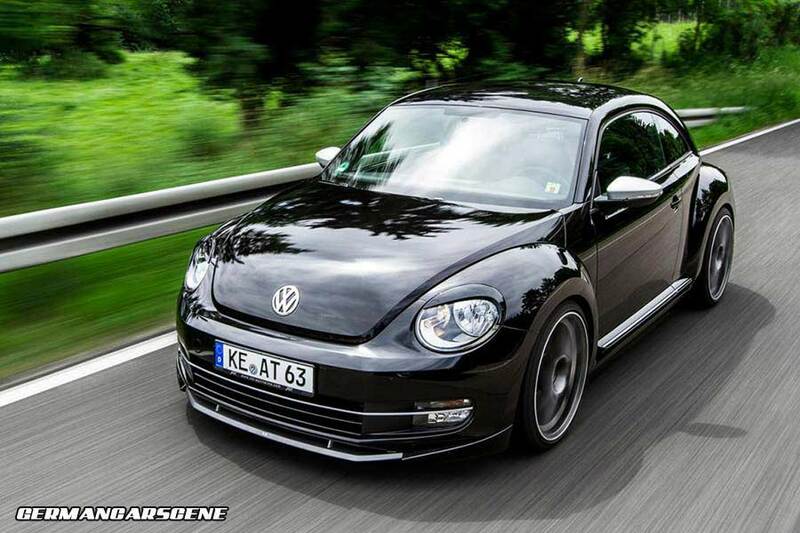 Kempten-based VAG tuning specialist ABT Sportsline has released details of its updated range of options for the current Volkswagen Beetle. ABT’s Power Kit conversion sees output from the 1.2 TSI jump from 77 kW (105 hp) and 175 Nm of torque to 103 kW (140 hp) and 220 Nm, while the 1.4 TSI enjoys a rise from 118 kW (160 hp) and 240 Nm and the 2.0 TSI goes from 147 kW (200 hp) and 280 Nm to 176 kW (240 hp) and 340 Nm. Diesel owners are also catered for, with the 1.6 TDI climbing from 77 kW (105 hp) and 250 Nm to 92 kW (125 hp) and 285 Nm, and the 2.0 TDI now producing 125 kW (170 hp) and 370 Nm – up from a factory figure of 103 kW (140 hp) and 320 Nm. Other mechanical upgrades include an exhaust system with twin oval tailpipes, a -30 mm lowering spring kit and 345 mm front brake disc conversion. The company also has wheel and tyre packages ranging from 18 to 20 inches, including its CR in matte anthracite, the DR in gunmetal grey, and the new ER-C in a silver finish. Aesthetically, ABT can provide a lower front spoiler, headlight and tail-light covers, a rear license plate insert and a rear bumper apron with diffuser section. Inside, there’s a leather/aluminium shift knob and embroidered floor mat set. The latest video from Autocar sees Steve Sutcliffe provide a brief review of Porsche’s brand new 911 Turbo S.
Propelled by a turbocharged 3.8-litre flat-six engine developing 560 hp (412 kW), the S takes just 3.1 seconds to crack 100 km/h before reaching a 318 mph (197 mph) top speed. Notable features include centre-locking 20-inch alloy wheels, full LED headlamps, the Sport Chrono Package Plus (incorporating dynamic engine mounts), and ceramic brakes.